There are many things about Daman & Diu that have been responsible for the unprecedented tourist inflow each year. A trip to Daman & Diu will embrace a large number of natural wonders that are exquisite beaches and lesser known scenic sites. You will definitely like to spend some time here amidst complete peace and tranquility. Daman & Diu is a union territory of India and was under the rule of the Portuguese for more than 450 years. 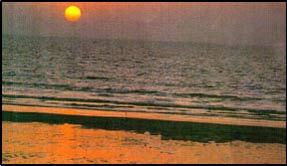 The union territory of Daman and Diu lies on the edge of the southern borders of Gujarat, in western India. The northern side of the isolated island, Diu, facing Gujarat, is primarily characterized by tidal marsh and saltpans, on the other hand, southern coast alternates between limestone cliffs, rocky coves and sandy beaches. Daman is a small town with a tropical essence, and its beaches are simply fascinating. Reputed for its beaches and first-rate liquors, it is a paradise for one in search of serenity. The forts and churches of the past, and the pubs of today, combine to produce a strange setting of bliss and pleasure. 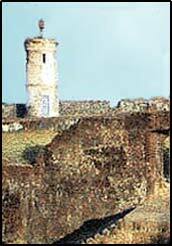 Find more information about Daman & Diu through the fast facts, history and climatic conditions of Daman & Diu. There are many places to visit in Daman & Diu. Daman: Daman was seized in the year 1531 by the Portuguese after they defeated Bahadur Shah. However, there is no concrete evidence as to what happened during those years of turbulence and political unrest. Diu: There is a legend according to which an ancient king called Jalandhar used to rule here. After that, the invasion of Muslims followed and then the long rule of the Portuguese. Diu is said to be the first landing point of the Parsis in India when they were forced to flee from Persia and they settled here for a period of three years. 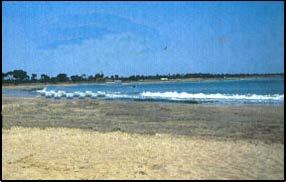 Later on in the year 1961, Diu was handed over to the India government alongwith Daman. Spending holidays in Daman & Diu is a pleasure since it has a maritime climate. The summer season is simply scorching in Daman as compared to neighboring Diu. As far as clothing is concerned, cottons are ideal during the winters as the sea heavily influences the climate of this place. The ideal time to visit Daman and Diu is from September to May owing to a pleasant climate.